The days may be getting a bit longer than in darkest winter, but spring still feels some way off, as Storm Imogen reminded us earlier this week. To stay happy and positive during the colder winter months everyone is encouraging us to get our “hygge” on, but what exactly is it? 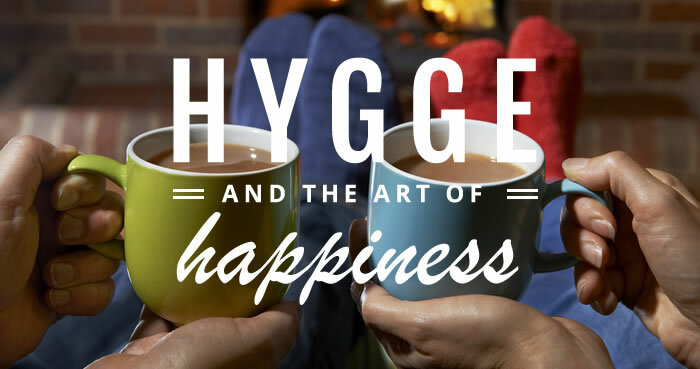 Hygge is a Danish concept that doesn’t have a literal translation, broadly meaning “cosy”. It’s all about embracing the longer winter evenings, making your home a haven of relaxation and spending quality time with loved ones. At its heart, it is embracing simple pleasures. 1. Candles – these are an essential part of hygge. Lack of natural winter light mean the Scandi’s are big on candles, and they don’t just for save them for the evening. A few lit candles during the day are just the thing to make a room feel extra special. 2. Put down that phone. Hygge is about spending quality, uninterrupted, relaxation time. Hygge is not about multi-tasking. It’s about sharing a coffee with friends, watching a film or getting lost in a good book. 3. And whilst we are on the subject of coffee… warming drinks are very hygge. The Danes are big fans of strong coffee but if that is too much for you, put on the kettle and make a brew or settle down with a hot chocolate. 4. Get your fire or wood burner going. Nothing says hygge like a toasty fire crackling away. Don’t have a fireplace? Then get the sights and sounds with an online video. Super relaxing. 5. Cushions. And blankets. And more cushions. Compliment your relaxing, candlelit haven with soft furnishings perfect for chillaxing. Oh and don’t forget the cosy socks, or the more traditionally English slippers. Enjoy, and as the rain lashes down, remember springtime is now only weeks away!